SuperNova is a one-of-a-kind event where visionary solutions, technologies and insights come together. Where game-changers and businesses of tomorrow meet, and where entrepreneurs, professionals and creatives connect to inspire and empower one another. As a proud sponsor of the event, The Cronos Group set out to create a booth concept that matches their unique DNA. Since this project required quite a mix of skills, planning and deliverables, we thought it would be a good opportunity to explain some of the inner workings and services that we offer at Once. 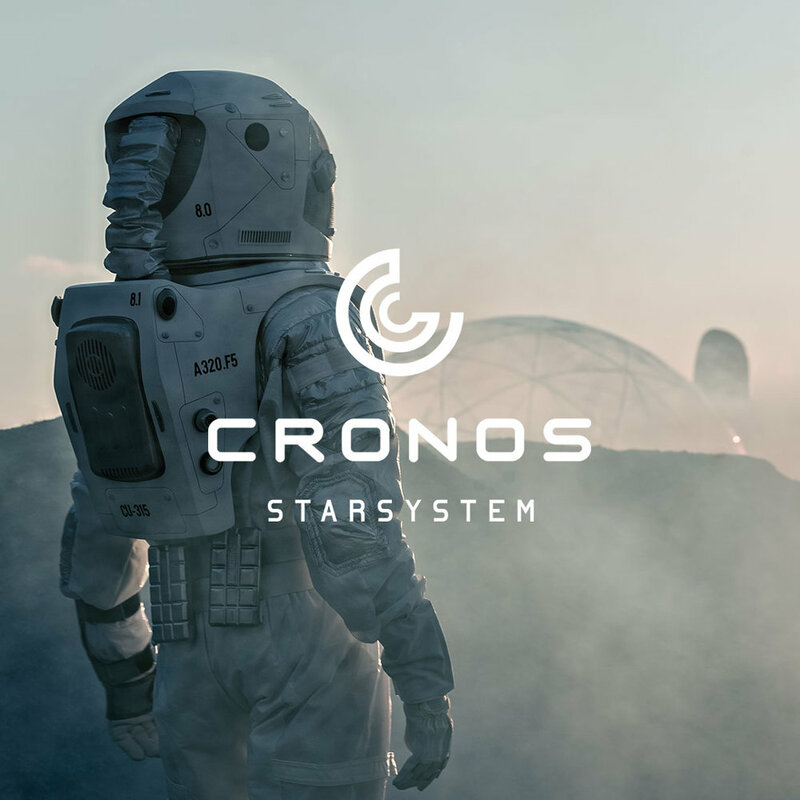 After carefully analysing the mission our team pitched the ‘Cronos Starsystem’, an interactive web-based platform that visualises the entire Cronos company network in a space-themed setting. Our pitch presentation included a unique story setup, a range of moodboards to inspire and describe the visual direction of the project, as well as some concept illustrations to bring our ideas to life. Considering the project scope and tight deadline we teamed up with the guys from Artcore Society to co-produce the project with us. Using our pitch presentation we were able to fine-tune the concept in minimal time. Considering the importance of ‘gaming’ in the Cronos mission statement, we expanded the original concept with a layer of gamification. 7 Cronos companies participated in the event and were each tasked with creating their own custom mini-game which had to plug seamlessly into our main concept. The companies themselves were selected together with Cronos based on their unique expertise in a specific innovative, game or tech related field. For the production process of the main concept we defined clear tasks & roles between Once & Artcore Society to guarantee optimal collaboration. To introduce the Cronos Starsystem to the outside world we storyboarded and produced a visually striking trailer complete with professional voice-over and sound design. Once the storytelling and footage was confirmed, we created an additional short version, re-cut with subtitles specifically for social media platforms and sharing purposes. After receiving the wireframes from Artcore Society our team was set loose on the visual design, illustration and storytelling of the platform. Each screen was carefully designed to capture the right atmosphere defined earlier in our moodboards. With a keen eye for detail we added a series of custom illustrated astronaut badges that were introduced in the on-boarding & registration process. We also supplied each of the participating companies with style-guide and assets to assure consistency throughout the entire experience. In the end, the Cronos booth played an exciting part at the SuperNova event, demonstrating some amazing new game technologies within an immersive story that was unique to each participant. 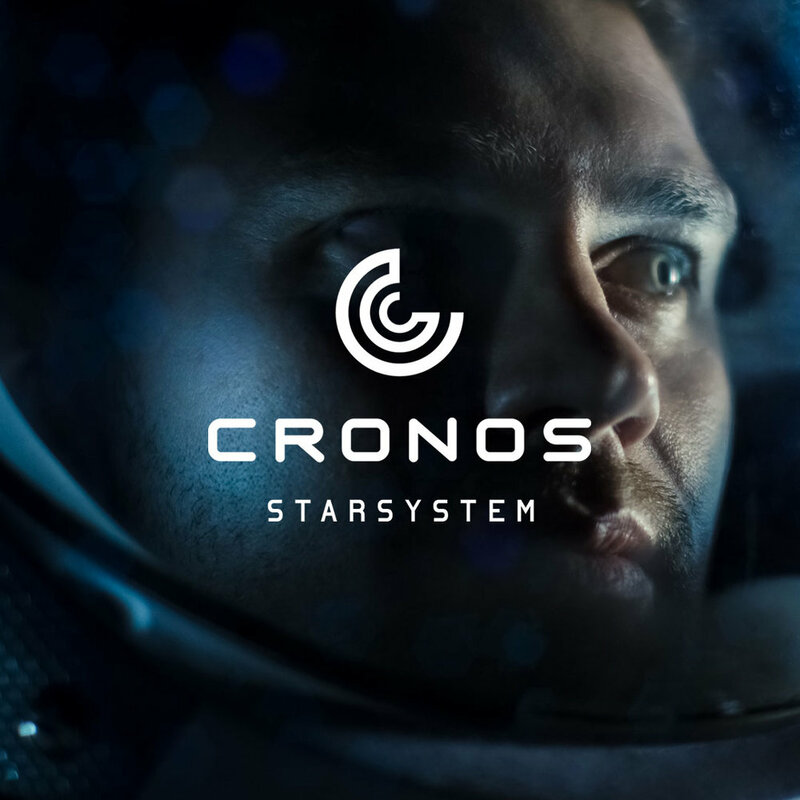 The narrative we created to run through all the games, devices, and companies successfully brought them all together and incentivised users to explore the whole Cronos Starsystem, and find their future among the stars.